In this video an advanced bone expander kit is demonstrated on how a dentist can utilize this tool to enlarge a patients ridge. The kit simplifies the expansion process and includes a saw disk, guide drill, and expander drill. More videos to be added soon. 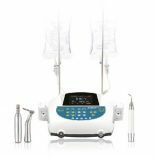 This video describes how a TOCA kit is used by dental experts such as dentists, oral surgeons, and periodontists. 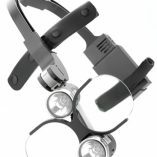 The Sinus Master II kit is a comprehensive kit to assist dentists in sinus surgery. 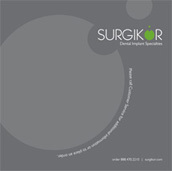 The fixture removal kit supplied by Surgikor efficiently removes implant fixtures. This video features the PRF Box which assists dentists and periodontists in bone grafting.